Kiama High School and Envirobank Recycling, a Return and Earn Automated Depot, have partnered together for an easier way to Return and Earn. Initially, Kiama High School was dropping eligible containers at the Reverse Vending Machine at the Gerringong Surf Club. However, engaging with Envirobank Recycling allowed the school to focus on collecting eligible containers and have them picked up for a small fee. Envirobank Recycling provided Kiama High School students and parents with collection for the containers. At Kiama High School, sustainability is key across all stages of the curriculum and Return and Earn is helping the school to raise money for two chilled water stations which will replace the use of single-use bottled water once installed. The school applied to become a donation partner on the local reverse vending machines. 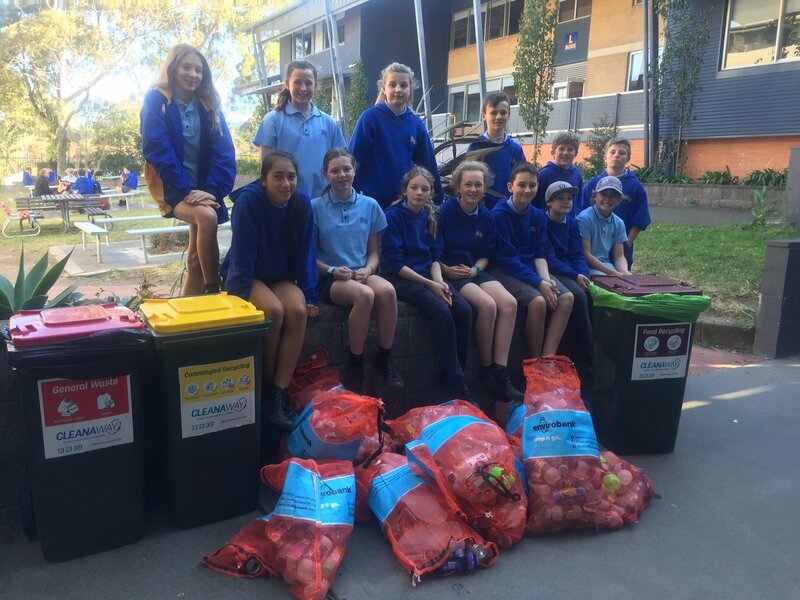 Since Kiama High School appeared on ABC TV’s War on Waste, there has been a noticeable increase in the school and local community using Return and Earn to reduce litter. Kiama High School meets on a regular basis with other local schools, including Gerringong, Jamberoo, Minnamurra and Kiama Public Schools, to enhance sustainability in the broader local community. They are looking to combine their efforts to increase the volume of containers and the revenue stream generated through Return and Earn. Envirobank Recycling Founder and Managing Director Narelle Anderson lauds Kiama High. “Envirobank Recycling applauds the efforts and commitment of the Kiama High School students and is thrilled to be a part of the school’s effective sustainability program,” said Anderson. “Not only is the school’s sustainability program making a difference in their own community, it has become a showcase initiative to other schools in the area. “By working with Envirobank, Kiama High School is now able to streamline and add scale to their Return and Earn efforts and ultimately their fundraising bottom line. Envirobank has simplified the collection, delivery and redemption process so the students can concentrate on increasing volumes and the amount of money being refunded. The school students can also be assured that every eligible container is being recycled in a sustainable manner,” said Ms. Anderson.